Running in Bruges, Belgium. Best routes and places to run in Bruges and area. Located in the Flemish region of Belgium, Bruges is the capital and largest city in the province of West Flanders. As one of the best-preserved medieval cities in Europe, this UNESCO World Heritage city has a population of about 200,000 but attracts nearly 7 million visitors annually. 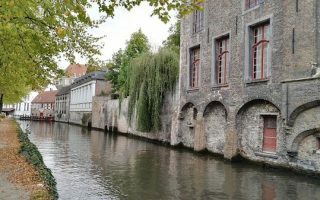 The small old city is surrounded by four gates along the old rampart, although Bruge’s official limits stretch down to the Zeebrugge, or port, on the North Sea. From the ramparts around the preserved old city, to path-lined canals, fields, farmland, and great beaches and boardwalks of the nearby coast, running in Bruges is a sheer delight. The best places to run in Bruges, and a great way to see the old city, are the inner or outer canal paths. 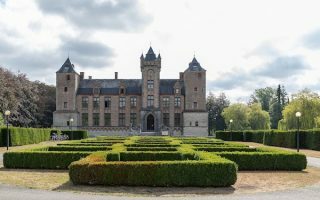 Nearby, there are wonderful trails by castles in Tilleghem and an extensive network of canal paths that are popular for biking and running. We also love the 6 km canal-side run the the pretty town of Damme. 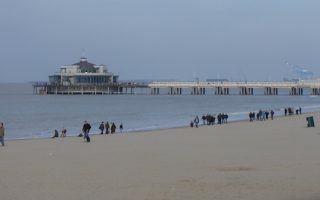 On the coast about 15 km north, there are miles of ocean-side paths and fantastic beach running in Blankenberge, De Hann, and Ostend, and the unique Zwin Nature Park. 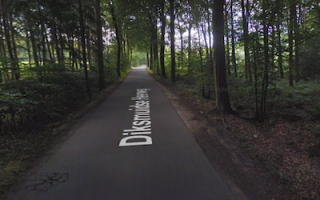 For park-like and wooded paths, we recommend Ryckevelde, Beisbroek Forest, and the extensive network in Bulskampveld. 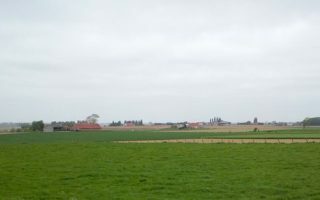 The countryside around Bruges is also lovely for running — there are extensive paths and quiet rural roads passing by fields, farms, and historic sights of the Great War. There is decent public transport in the area, consisting mainly of buses and trams. A light rail does go to the coast, and trains to other cities in Europe. For exploring the countryside, a car is helpful. The 10.5 km Outer Canal Loop is the signature running route in Bruges, as it heads along a dedicated waterside path around the historic center, passing through four historic gates and numerous important sites. 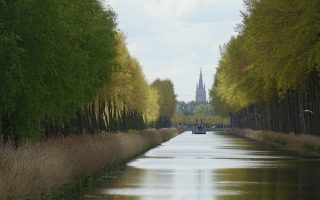 A short loop of Bruges's Inner Canal packs in a lot of key sites. Most of the route is along the water, which is lined with older homes and buildings. Can be combined with other sections of historic Bruges or sections of the outer canal loop, ~1 km away. A wonderful canal-side run for 6 km to the historic town of Damme. Pretty and pastoral. Options for paths on either side of the canal. Includes a 1.5 km loop around the star-shaped moat encircling Damme. Out and back or bus for return. This park-like area, 7 km south of Bruges, offers some wonderful running opportunities. There are numerous paths winding through fields, woods, and meadows...and a castle! There are several marked trails that can be done as running loops. 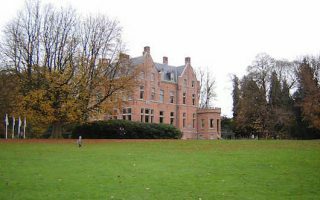 Forest park 10 km southwest of Bruges offering numerous paths that are pleasant for running. Mainly wooded, and fairly gentle trail running. Can be combined with Tillegembos for a longer run. A 180-hectare area centered around a historic castle, offering a good variety of running opportunities. Located in the suburb of Sint-Kruis, 6 km east of Bruges. Two well-marked running loops combine woods, fields, meadows, gardens, and a castle. There's wonderful running in the coastal area 12 km north of Bruges, in the towns of Zeeburg, Blankenberge, De Haan, and Ostend. A long, continuous beach is great for running. There are several long boardwalk paths, and some nice parks. 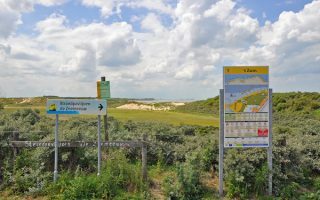 This 159-acre nature park, located 20 km northeast of Bruges offers numerous paths along coastal plain, salt marshes, dunes, and along the water. Get away from the 'tourist' area of the park to the outer paths for some lovely running. A forest area located 12 km south of Bruges. Excellent variety across some 150 km of trails, from walled landscaped gardens to stately avenues, quiet roads past country residences, and many wooded paths. The Belgian countryside is historic, pastoral, and great for running. Some of our recommendations among the extensive series of paths & roads passing by castles, through woodlands, along canals and the coast, and by farms and fields. 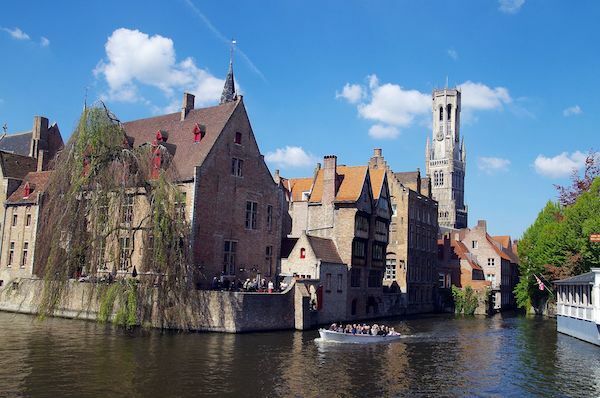 Bruges has an oceanic climate, with cool winters and mild summers. Average high temperatures in summer are in the 23C range (73F), with cool-ish nights. Winters are cool and feature a lot of overcast, with temperatures typically around 6C (mid-40sF) during the day and around freezing at night. The 836mm (33 inches) of rainfall are fairly well spread out throughout the year. For running, always best to bring layers and something for wet weather, since there is precipitation on about 40% of days. Running Center has numerous stores in the area. Jack Wolfskin has a store in central Bruges. Tri-Active sells running and other outdoor gear in Oostend. 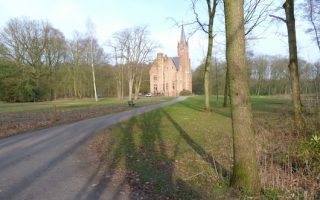 The Bruges Jogging Club has weekly runs Wednesday and Sunday mornings in the Ryckeveldebos area. Bruges is a small city so there are only a handful of running races right in the city. 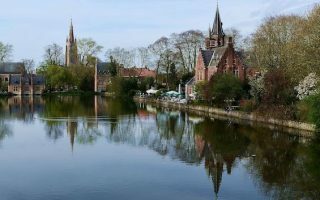 But there are many events occurring in the surrounding towns and countryside — here’s a good running calendar for Belgium. Great Bruges Marathon. October. Neat run to the coast. The Midsummer Run is a popular race held in June near the solstice in nearby Kortrijk.